Fujifilm X-T3: APS-C is not dead! 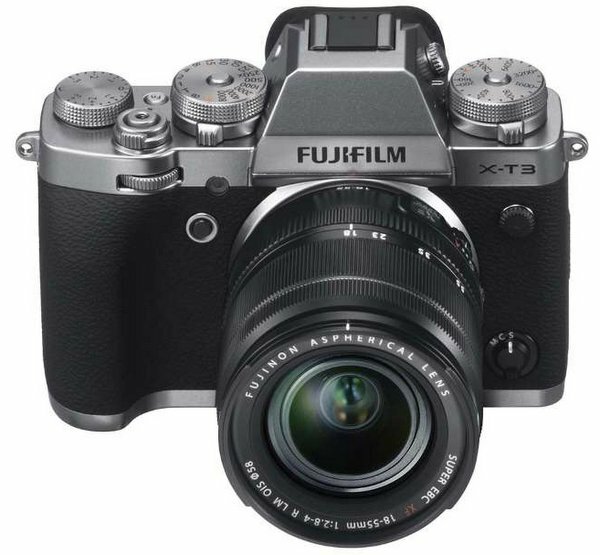 Fujifilm has announced the late September availability of X-T3, a 26.1-megapixel APS-C mirrorless camera capable of shooting up to 30fps and capturing 4K/60p video. There’s no local pricing (or release? ), but the Americans are instructed the X-T3 will cost US$1499 body only, or US$1899 with a 18-55mm lens. There’s a rumour that local pricing is around $2500. This year has been all about full frame mirrorless releases, however Fujifilm is standing firmly by the APS-C image sensor format with the X-T3, and X-H1 announced earlier this year. The XT-3 features a new BSI X-Trans CMOS 4 sensor with no optical low-pass filter – the highest performing sensor in Fujifilm’s X series. The APS-C BSI structure includes 2.1 million phase detection pixels distributed across the surface to improve autofocus and image resolution. The X-T3 also has a new and improved X-Processor 4 processor, which is three times faster than other X series models thanks to a Quad Core CPU. The processor, along with a phase detection algorithm, provides a 1.5 times faster autofocus than the X-T2. Additionally low-light AF has improved by 2 stops, from -1EV to -3EV, and Face Detection AF is also more accurate. Video is a big deal. The 4K/60P 4:2:0 10bit recording also comes with 4K/60P 4:2:2 10bit HDMI output to an external recorder. The sensor read speed has been given a boost to reduce rolling shutter, and there’s noise reductions algorithms also. Videographers will be pleased the camera features a built-in headphone jack, to monitor video audio.